Book now and see our latest deals! Ocean Park Corporation will implement new procedures for application of the 2019 Ocean Park Tour Guide Pass. The details of the Application Procedures and Terms and Conditions are set out below for your information. 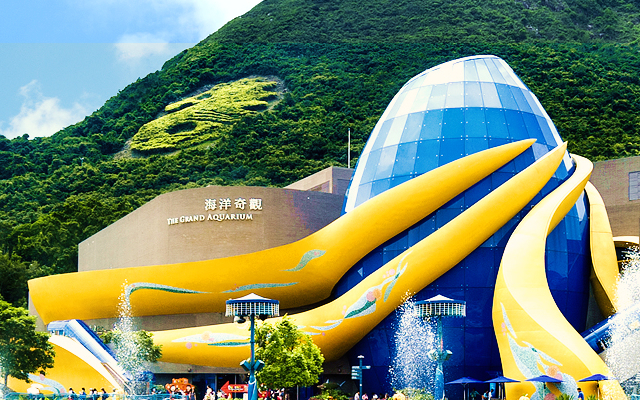 To extend our gratitude to the tourism industry partners, Ocean Park Corporation will continue to waive the application fee of HK$130 per pass in the year of 2019. The 2019 Ocean Park Tour Guide Pass will be valid from its commencement date (which will be determined by Ocean Park Corporation but in any event no earlier than January 1, 2019) till December 31, 2019. Application will start from November 1, 2018. The Application Form can be obtained from Ocean Park website or the Ticketing Office of Ocean Park located at its Main Entrance. Ocean Park Ticketing Office, 180 Wong Chuk Hang Road, Aberdeen, Hong Kong. Subject to the approval of Ocean Park Corporation, the 2019 Ocean Park Tour Guide Pass will be issued to the applicants by mail to their correspondence address within 15 working days from the date of receipt of application by the Park. 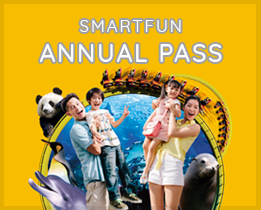 Only holders of valid TIC Tour Guide Pass with a minimum of 3-month's validity are eligible to apply for the 2019 Ocean Park Tour Guide Pass. The 2019 Ocean Park Tour Guide Pass will be issued to the applicant solely for the purpose of admission to Ocean Park when guiding a tour. The use of the Pass for any other purpose is strictly prohibited. The 2019 Ocean Park Tour Guide Pass is non-transferable. The 2019 Ocean Park Tour Guide Pass remains the property of Ocean Park Corporation at all time. In the event of loss, it is the Tour Guide Pass holder’s responsibility to report to Ocean Park immediately in writing and fill in the replacement form which can be obtained at Ocean Park Ticketing Office or downloaded from Ocean Park website. The fee for a replacement Tour Guide Pass will be HK$50 and can be settled by cash, credit card or personal cheque. The Replacement Pass will only have the same validity date of the original one. Any other circumstances that Ocean Park Corporation considers necessary to do so. Ocean Park Corporation reserves the right to change any of the above terms and conditions without prior notice. The holders of 2019 Ocean Park Tour Guide Pass acknowledge that they will not have any employer and employee relationship with Ocean Park as a result of the successful application of the Pass. Should you have any queries, please do not hesitate to contact Ticketing Office during office hours at 3923 2583 (from Monday to Friday, 9:30am to 5:00pm).